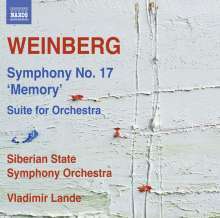 Mieczyslaw Weinberg: Symphonie Nr.17 "Memory"
Der Artikel Mieczyslaw Weinberg (1919-1996): Symphonie Nr.17 "Memory" wurde in den Warenkorb gelegt. One of the most significant projects of Mieczysław Weinberg's later years was his symphonic trilogy On the Threshold of War. Symphony No. 17, which bears the dedication »In memory of the fallen in the Great Patriotic War«, is the largest-scale of the three and a probing work of considerable depth and unforgettable power. Symphonies Nos. 18 and 19 can be heard on Naxos 8. 573190 and 8. 572752. 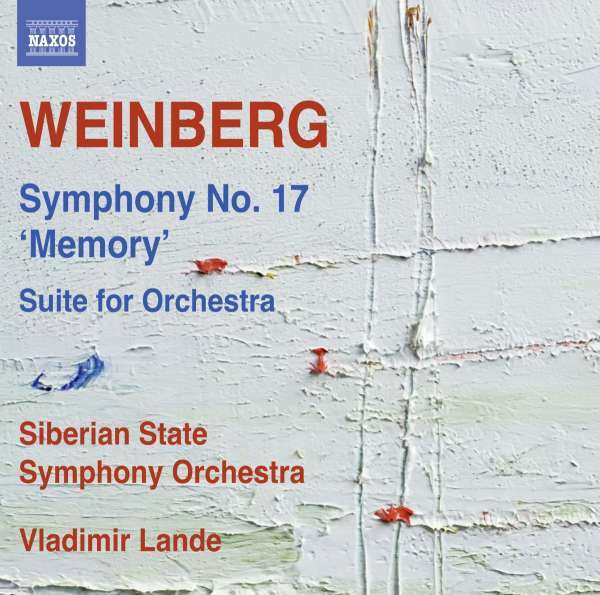 With its eloquent themes and ready climaxes, the Suite is one of Weinberg's most intriguing scores to have survived the difficult early 1950s. This performance is thought to be both the first of the work and the first recording. Symphonie Nr.12 "In Memoriam D.Shostakovich"
This latest Naxos release, which completes the symphonic trilogy 'On the Treshold of War' is a most welcome addition to the Weinberg cycle on Naxos. Very finely played, with real feeling for the typical 'Weinberg-Sound'. The recording is also very good, and the addition of the unknown 'Suite' is a nice bonus. The booklet is not extensive, but to the point. Hopefully those symphonies so far unavailable (9, 11, 13, 15) will become available soon!